“What a memorable moment this is. It seems as if we joined MUFY only yesterday but here we are at our Graduation ceremony. Time really flies. 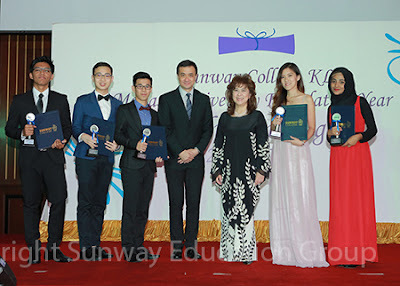 We are leaving Sunway College with many remarkable memories, aren’t we?” said Celine Lee Shyn Yee in her valedictory speech at the Monash University Foundation Year (MUFY) graduation. On behalf of her fellow graduands, she paid tribute to all MUFY lecturers, “Firstly, we are eternally grateful for the limitless support we got during tough times from our FOUR superheroes (FANTASTIC FOUR). Our Mr Fantastic is Mr Lee, who is the leader who leads his team to save the day, who is pragmatic in dealing with the everyday things that happen in college; and who never fails to stop and ask us how we are every single time we meet. Our Human Torch, Ms Edith, is one who can generate flames and project fire, so don’t you dare mess with her. However, through all the flames and heat, we all know that she is a very nice and caring person. And then, not forgetting, our Invisible Woman, Ms Helen. She generates powerful force fields, which powers the whole of MUFY. She’s everywhere to make sure everything runs smoothly, and while she may be Invisible, she knows all! And last but not least, our dearest Mr Hakiim, aka the Thing. He is like the huge monstrous creature, who possesses super strength. He makes sure every one of us have our classes enrolled, our ID passwords backed up, and all our daily shenanigans working smoothly. Without the constant support and backing from the four of you, it would have been difficult or almost impossible to get here today. And of course, not forgetting the amazing foundation of MUFY, our dearest lecturers, who go all out of their way to assist us to improve our skills and enhance our knowledge. You have given us hard times that only served to make us work harder and strive to be better. You have helped us to reach our goals and make our journey to Monash, and beyond. I must say that we have a lot to be grateful for. To all of the lecturers, we sincerely thank you, for nurturing us and giving us the ability, not only to finish, but to finish well. We have conquered MUFY! Without your efforts in teaching, lecturing and mentoring, we wouldn’t be here today”. The July 2015 MUFY graduation ceremony saw close to 400 students graduating, making them officially part of a community of over 10,000 students who have chosen MUFY as a pathway to a world class university education. The learning environment of MUFY at Sunway College is similar to that at Monash University. The programme’s dedicated and experienced lecturers have helped students maintain an excellent academic track record of success which have often surpassed those from other MUFY providers. The MUFY programme offers a flexible modular system of study that enables students study options that match their individual capability and needs. The diversity of students in the programme provides a vibrant learning community which ensures a successful progression of MUFY graduates from Sunway College into degree programmes at Monash University and other well-regarded universities anywhere in the world. “This evening’s graduation may be a brief moment in your life but it marks the successful conclusion of a tremendous amount of hard work that you have put into the past one year. The finish line is not for the fainthearted. It is reward for the daring, determined and disciplined. 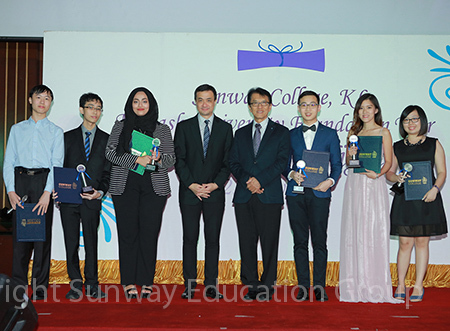 Your presence here this evening is an impressive demonstration of all these qualities”, said Lee Thye Cheong, Director of the MUFY programme at Sunway College who also took the opportunity to congratulate the graduands. 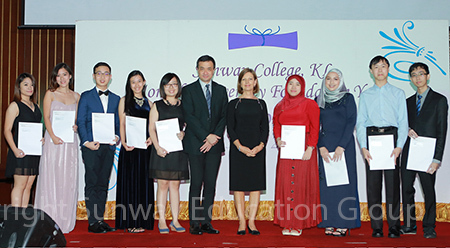 Other awards were given out during the ceremony to the MUFY Subject Awards Winners and the Monash Entrance Scholarships recipients.